Unlike a lot of the chemtrail information out there, I'm going to try as be as neutral as possible; providing both sides of the argument to inspire some critical thinking. Part of my philosophy is: Don't believe everything you read, but read everything. Come to your own conclusions. Despite the negative connotation, a conspiracy is just way of looking at an event as if there were an underlying motive. The State present their view, intellectuals or journalists outside the State apparatus offer another view. This is the alternative view on jet exhaust: airplane contrails that persist and expand are actually “chemtrails” that contain (usually) aluminum, barium and strontium. Spraying chemtrails is useful for weather manipulation as the chemicals form into clouds. Reasons for doing this may include: a world dependent on GMO crops, depopulation or a solution to climate change, a process known as geoengineering. First, let's deal with the claim that normal contrails dissipate and therefore persistent trails are in fact chemtrails. 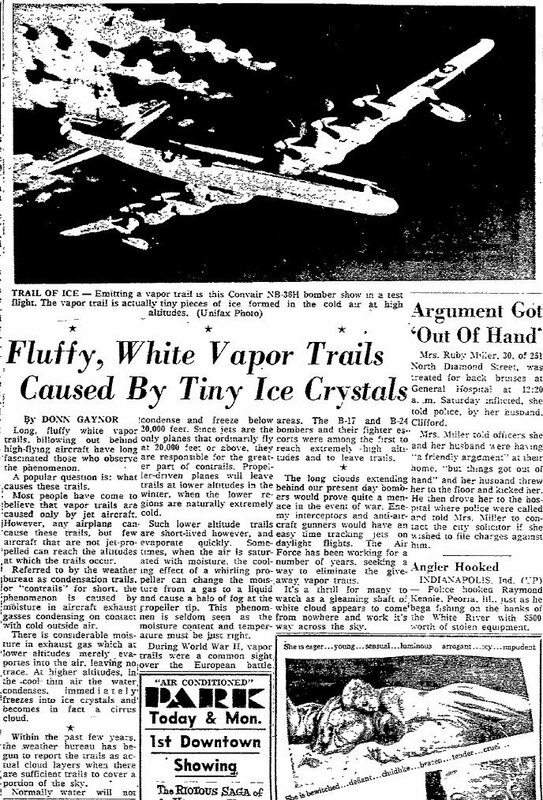 Apparently this chemtrail phenomenon started in 1996-1997, so presumably we shouldn't find persistent contrails prior to. This is not the case, however. 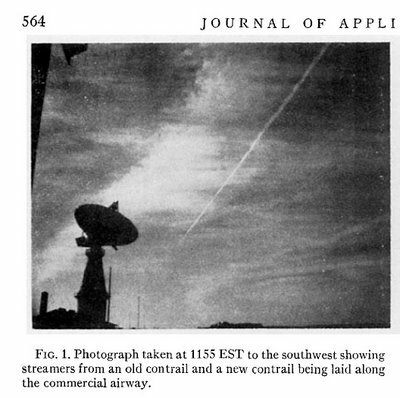 Contrailscience.com has some done some great research on this. Cirrostratus being a type of cloud. Then there are these pictures from 1969 and 1975. 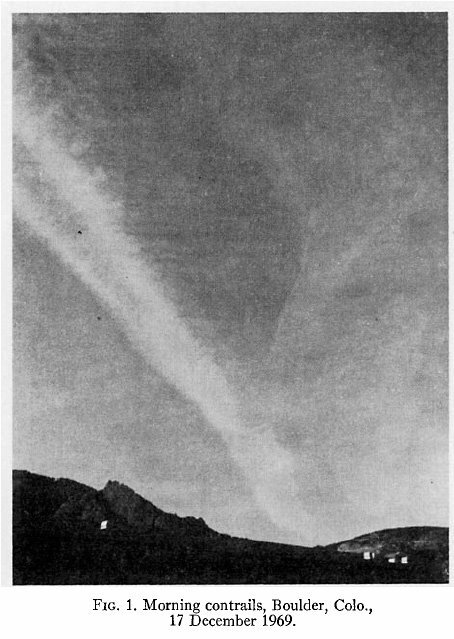 There is also this YouTube video from 1938, filmed in Nazi Germany that shows a persistent contrail, or chemtrail at 1:29. So are all persistent contrails actually chemtrails? It would seem to indicate that they are not, unless the people behind this have been testing this out since World War 2. A possible scenario given that the Nazis had no problem doing medical experiments on Jewish people, let alone spraying an entire population. Given all their science and technology that was inherited by the Military Industrial Complex, it's possible that chemtrails are an old Nazi depopulation method. Of course, this is by no means a definite conclusion. Persistent contrails don't rule out chemtrails, but the evidence indicates that not all persistent contrails are in fact chemtrails. Obviously, more research is needed on this subject. One way of going about is is using atmospheric temperature testing known as the Appleman Chart. I'll link you over to the Club Conspiracy forums where a user by the name stompk has detailed his findings in the first three posts. How accurate the Appleman Chart actually is and stompk's analysis of the information will have to be decided by the reader. Whether or not these contrails are water vapor or chemicals, it's hard to dispute the fact that these things create clouds and influence local weather conditions. Which brings us to our next point: weather modification. Contrails have been blamed for changing local ground temperatures, a global dimming some of called it. It's easy to see why, in Toronto there are over 65 airlines with over 500 flights a day coming in and out of the city. This video shows how much global air traffic there really is. Even if only a fraction of them leave a persistent contrail that expands into a cloud, the impact on the weather (and possibly human health) is noticeable. 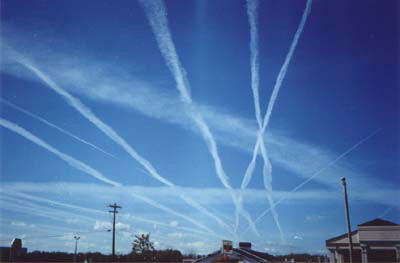 The effect contrails have on the climate was well-documented in the days following September 11th 2001, when virtually all air traffic was non-existent. 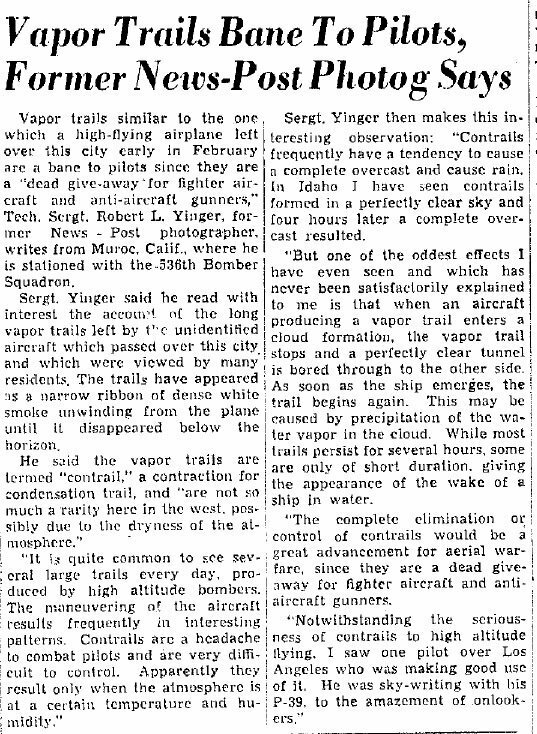 Scientist studied the few Military-approved airplanes that were allowed to fly and came to conclusions about the environmental impacts of contrails. Of course, by 2001, if the conspiracy is indeed true, the chemtrail program had been in effect for at least four years. Chemtrail or not, these things influence climate. Whether or not the Military Industrial Complex uses artificial clouds to influence weather (perhaps causing droughts in enemy territory) is a conclusion you will have to come to yourself. 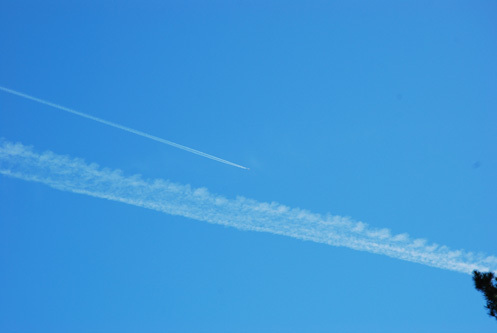 It has been admitted, however, that this process (known as cloud-seeding) is being undertaken for “peaceful purposes” by companies such as North American Weather Consultants, Weather Modification Incorporated, Weather Enhancement Technologies International, and Seeding Operations and Atmospheric Research (SOAR) in Canada, the United States and virtually the entire planet. The question then becomes if the term chemtrail is just a buzzword for cloud-seeding, and if the cloud-seeding program has greatly expanded without consent of the public, or with regard to human health effects. Purposeful weather modification companies use a variety of particles and gases that are apparently safe and only cause precipitation. This can be done by boats, airplanes, ground generators and, presumably, drones. Just because it doesn't look like cloud-seeding doesn't mean it isn't. So if a large amount of persistent contrails come from cloud-seeding drones or unbeknownst pilots with cloud-seeding airplanes – what exactly is being sprayed on us? To my knowledge there has never been a pilot who has flown through these trails to collect samples and analyze them for certain elements. Until that happens the reasoning behind the before-mentioned elements come from studying soil samples, assuming the chemicals (particularly aluminum) fall to Earth and affect soil ph. This makes it harder for crops to grow, and would most likely have unwanted health effects on both humans and animals. So are there record amounts of aluminum found in soil? Yes and no. It's not quite as black and white as some make it seem, but there are certainly raised eyebrows among some farmers about the changes in soil ph. It might not be conclusive evidence for a mass spraying, but something has been affecting the soil in the past few decades, perhaps in the same mysterious vein as collapsed bee colonies or increases in cancer. The Canadian Homlestead website has a detailed section on chemtrails with soil samples from their property. Elsewhere, other interested individuals have documented levels of aluminum and barium far above regulatory standards. If this practice of aerosol cloud-seeding and soil pollution is actually happening, who would be doing it and why? A favourite target is Monsanto, a U.S.-based multinational agricultural biotechnology corporation. They could benefit from studying high alkalinity and acidity in the soil. As more aluminum is dumped in the air, the soil gradually increases the inability to grow anything and therefore becomes completely dependent on GMO seeds. At an uncertain point in the future, when the science of artificial seeds reigns supreme, it won't matter that nothing will grow in North America because the entire globe will be shaped by biotechnology. Imagine the Sahara desert as a giant tropical paradise, or the Arctic as an extension of the Boreal Forest. With the the advancement of GMO and weather modification technologies anything is possible. 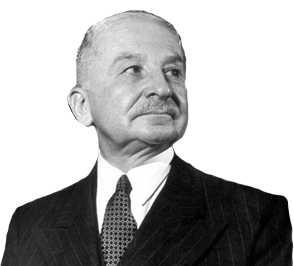 Humans could use central planning to shape the entire planet. Is this the thought process of the Monsanto people? Who knows. There are some entanglements with the State however, and that's never a good idea. Of course, if you believe in the standard New World Order theory, the motives behind chemtrails have to do with the vision of the Monsanto people and the top 1% of the wealthy, most of whom are related to Rothschild and Rockefeller families. Their ultimate goal is massive depopulation where the remaining populace will be enslaved into a society like 1984 and Brave New World. As the Chinese aren't used to freedom and North Americans are, it would seem that we're first in line for the global genocide. Chemtrails are, presumably, just another gradual but deliberate attempt to murder over 300 million people without them knowing about it. A less conspiratorial theory is that climate change has grown out of hand and these “chemtrails” are actually geoengineering projects involved with modifying the weather to avert global catastrophe. As most man-made climate science has been debunked, there leaves little reason for the implication of these projects other than inefficient bureaucracies being surprisingly effective. 20 years ago global warming became a problem, 10 years ago it became apparent reducing emissions wasn't going to work, in the present we're (more or less secretly) geoengineering the planet to solve climate change. All this because scientists had an incentive to make a living on State grants and the State responded to their findings. In all three scenarios, the problem arises from the State. If chemtrails are true, then they are the brainchild of either evil Statists or insane CEO's. In both situations, the State is the trigger. If these GMO or weather modification corporations operated without the State they wouldn't be corporations to begin with. Nor would they have the resources to embark on a project like this. If these trails are simply air-traffic clouds that change local weather conditions, they should be studied – without the State – for unintended consequences. If found harmless an individual could still decide that he or she wants to live without these man-made clouds and thus move to a region unauthorized for air traffic. An insurance company providing a no-contrail view of the sky would have an incentive to make sure airlines aren't sending their planes over this community. If what the airlines charge for this service outweighs the pool of money the insurance company receives from selling their premiums, then the insurance company will raise its prices to accommodate demand. Likewise, if the no-contrail community is hundreds of miles away from any air traffic the airlines will charge less than if the community were in a large city. Depending on where the community is, the insurance company may risk not paying the airlines for this service at all, confident that airplanes will never fly over this isolated community. In this case the insurance company can charge something for nothing or the individual can cease paying. Regardless of how people go about it, the solution won't come from the government. Whatever your position on chemtrails or contrails – our enemy is still the State. Really nice piece. Staying neutral and asking questions. Why aren't the mainstream media asking these questions @ least? The photos of pre 90's chemtrails is pretty damning against chemtrails. But when we looked through the site and the images, not sure if there is a 'smoking gun' image among them. If the lady in the 70's photo had clear a definite chemtrails behind it, that would go a long way to debunk it. The 50's plane, with the 50's car is another one that has clear chemtrails in it, but if you question everything, that photo looks too good for a photo actually taken in the 50's. The World War 2 images, could be faked for such a huge issue, but look to be the ones that are most likely. They are everywhere now, so if it was the case in the 60's and 70's when a whole heap of families started making home movies, then surely there would be a whole heap of home movies out there that would debunk it. But where are they? The WW2 pictures are from books published long before Photoshop. There are so many pre 90s persistent contrail photos that it is a laughable premis to say there were none before the 90s. They can also be found in movies that were filmed as far back as the 60s. There is no doubt, what is observed is ice crystals and water droplets - that is the visual signature and the core of the issue. However, speaking of cores, in order for these ice crystals and water droplets to form you need small particles for them to form around and persist. In the case of the older photos, it was well known that TEL (lead additives) were used in the fuel which were expelled in the exhaust combined with the high elevation flights to avoid ground based gun fire. These pollutants would form such condensation nuclei and in turn - persistent contrails. So is it lead additives today? No, unless you are unfortunate enough to live in a third world region where TEL is still being peddled, such as present day Iraq. When a confident "debunker" states that it is ice crystals and water droplets that you see, they are 100% correct in answering your question up to the 50% mark. Ask then, why does the contrail persist under arid conditions and at lower altitudes not supported by the Appleman data? Or go straight to the point and ask them - what is at the core of the ice crystals that account for the condensation nuclei? Background aerosols or normal exhaust cannot account for the massive amounts of what we witness on a daily basis nowadays. For those wet behind the ears it is real hard to explain that these contrails we have today are not what us older folk are used to seeing. Combine that with overflights that don't account for normally traveled air corridors. The physics cannot be bent to deny that there are additional particles being emitted from these planes, whether in the exhaust or from other means. The ice crystals and water droplets are the visual cue that something is there. Some will argue that there is a gap between the plane and the contrail so if anything were being sprayed, there would be no gap. Perhaps if one takes into account that there have been photos of mists coming from laminar wing sections or if these certain metals (of nano size) were being vaporized aft of the turbines, through eutectic process, may not be visible for some distance before cooling. So why these metals? Multi-functional purpose? #1 -Alumina is known as a fuel booster or more commonly known as an extender for thrust in a low density atmosphere. #3 -Barium is a great desiccant if you wish to drought an area or prevent rainfall or flooding. It also has self levitating properties so that it can stay aloft longer than other aerosol products. #4 -In the tradition of governmental commitments towards "Sustainability", all of the above listed components combined with others carcinogens such as EDB or who knows what special spices on lottery runs, would in turn assist with increasing mortality rates. #5 -Stakeholders could invest and profit from the many facets provided ie: Monsanto as listed in the article, Insurance groups, Disaster Capatalism etc. I totally agree that samples should be taken from fresh contrail plumes at various locations and regions by trailing aircraft (legally or not). Any 12-year child properly trained can easily, easily spot this aspect of geoengineering, almost in any urban centre in North America, in fact a pervasive global phenomona. Tanker large aircraft are easily seen with binoculars at 35-40,000 altitude spraying this poision, nanoparticles of aluminum, barium, strontium and other chemicals and possibly "organics". Geoengineering is an established program. David Keith, McKay Professor of Applied Physics and Policy, at Harvard and Kennedy Schools, is the recognized world technical (atmospheric geophysics) expert in geoengineering. Keith was formerly Canada Chair of Climate Studies. This hidden in plain view phenomona is completely covered up by mainstream media in Canada. Why? 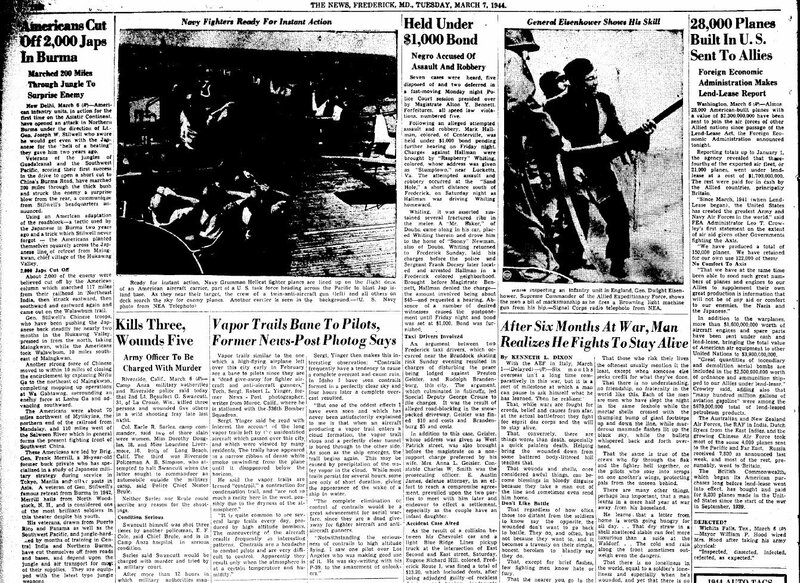 Cognitive dissonance, corporate miltary prevent controlled media from publication, and funding received by shills from corporate miltary industrial complex. The awake understand this nighmarish phenomona, it is very real. This is depressing..today in Toronto it was so bad a lot of people at work around me can't breathe and have eye irritation..what can we do? Rcparmachemsolutions is a research chemical company specialising in the distribution and marketing of legal research chemicals online. We collaborate with laboratories and researchers throughout the whole of USA to distribute and market the finest research chemicals. Our aim is to supply innovative research chemicals to professionals of the field. From us you can buy research chemicals online, cannabinoids, dissociatives , EZ-tests kits and stimulants. We offer great discounts on all our products. Visit our head shop and make an order.